Hedge funds and other investment firms that we track manage billions of dollars of their wealthy clients’ money, and needless to say, they are painstakingly thorough when analyzing where to invest this money, as their own wealth depends on it. Regardless of the various methods used by elite investors like David Tepper and Dan Loeb, the resources they expend are second-to-none. This is especially valuable when it comes to small-cap stocks, which is where they generate their strongest outperformance, as their resources give them a huge edge when it comes to studying these stocks compared to the average investor, which is why we intently follow their activity in the small-cap space. However, in this article we’ll look at their feelings towards large-cap healthcare giant Aetna Inc. (NYSE:AET). Hedge funds continue to grow more bullish on Aetna Inc. (NYSE:AET), as there was a 14% jump during Q3 in the number of funds that own shares of the company. With 79 funds now long the stock (as of September 30), Aetna ranked 21st on our countdown of the 30 Most Popular Stocks Among Hedge Funds, being owned by prominent healthcare investors like Larry Robbins’ Glenview Capital and Matthew Halbower’s Pentwater Capital. Aetna also topped our list of the 5 Best Dental Insurance Stocks To Buy Heading Into 2019. What have hedge funds been doing with Aetna Inc. (NYSE:AET)? 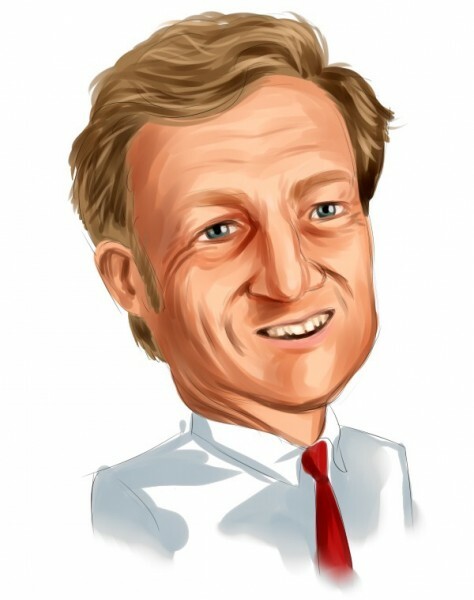 At Q3’s end, a total of 79 of the hedge funds tracked by Insider Monkey were bullish on this stock, a 14% jump from one quarter earlier. 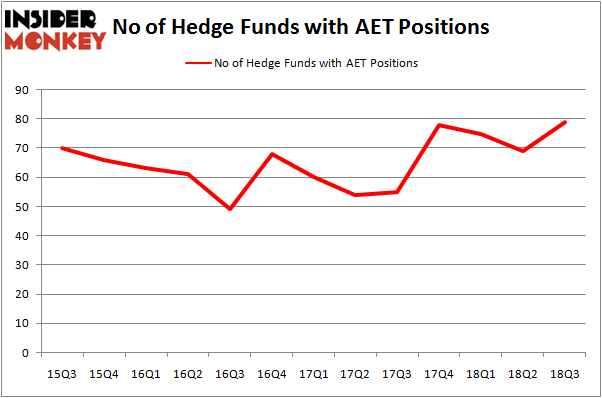 The graph below displays the number of hedge funds with bullish positions in AET over the last 13 quarters. With hedgies’ positions undergoing their usual ebb and flow, there exists a select group of key hedge fund managers who were adding to their stakes significantly (or already accumulated large positions). Among these funds, Farallon Capital held the most valuable stake in Aetna Inc. (NYSE:AET), which was worth $1.51 billion at the end of the third quarter. On the second spot was Pentwater Capital Management which amassed $1.41 billion worth of shares. Moreover, Adage Capital Management, Glenview Capital, and Highfields Capital Management were also bullish on Aetna Inc. (NYSE:AET), allocating a large percentage of their portfolios to this stock. As aggregate interest increased, key money managers were leading the bulls’ herd. Magnetar Capital, managed by Alec Litowitz and Ross Laser, assembled the most outsized position in Aetna Inc. (NYSE:AET). Magnetar Capital had $332.6 million invested in the company at the end of the quarter. Shane Finemore’s Manikay Partners also initiated a $217.3 million position during the quarter. The other funds with new positions in the stock are Richard Gerson and Navroz D. Udwadia’s Falcon Edge Capital, Tom Sandell’s Sandell Asset Management, and Deepak Gulati’s Argentiere Capital. Let’s go over hedge fund activity in other stocks – not necessarily in the same industry as Aetna Inc. (NYSE:AET) but similarly valued. We will take a look at The Charles Schwab Corporation (NYSE:SCHW), Automatic Data Processing, Inc. (NASDAQ:ADP), Banco Santander (Brasil) S.A. (NYSE:BSBR), and Canadian National Railway Company (NYSE:CNI). All of these stocks’ market caps are closest to AET’s market cap. As you can see these stocks had an average of 30 hedge funds with bullish positions and the average amount invested in these stocks was $2.54 billion. That figure was $11.79 billion in AET’s case. The Charles Schwab Corporation (NYSE:SCHW) is the most popular stock in this table. On the other hand Banco Santander (Brasil) S.A. (NYSE:BSBR) is the least popular one with only 7 bullish hedge fund positions. Compared to these stocks Aetna Inc. (NYSE:AET) is far more popular among hedge funds. Considering that hedge funds are fond of this stock in relation to its market cap peers, it may be a good idea to analyze it in detail and potentially include it in your portfolio.